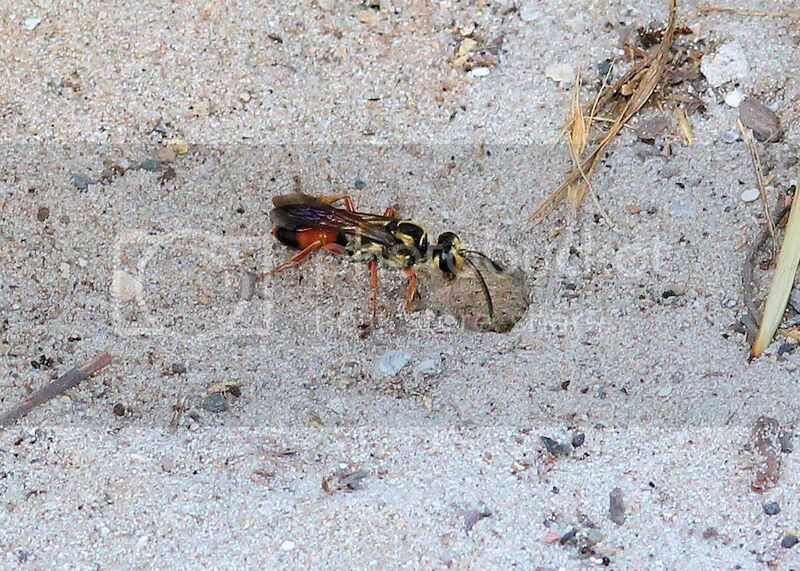 Ok, insect wizards, is this a Great Golden Digger Wasp (Sphex ichneumoneus)? It's hard to get those shots, Bill. They hardly ever sit still long enough. They hardly ever sit still long enough. You got that right, Dan. 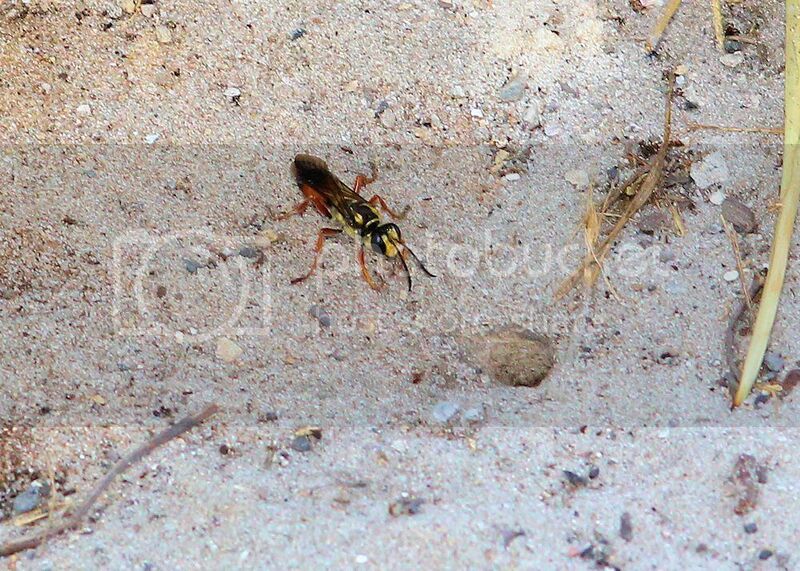 There were 5 or 6 digging burrows in a patch of sugar sand, about a meter in diameter. 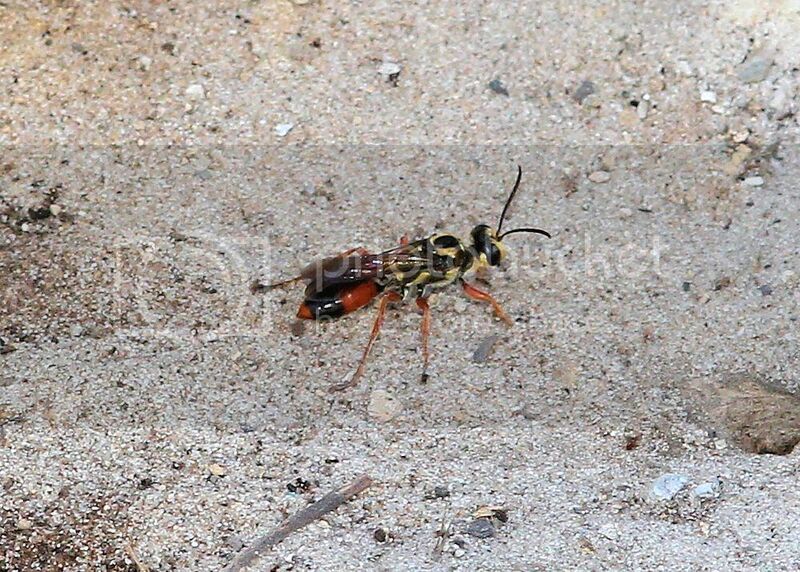 This was in the FL panhandle. I was going to do a video of them escavating, then a car parked right over top of the escavations. We couldn't wait; we had to leave.